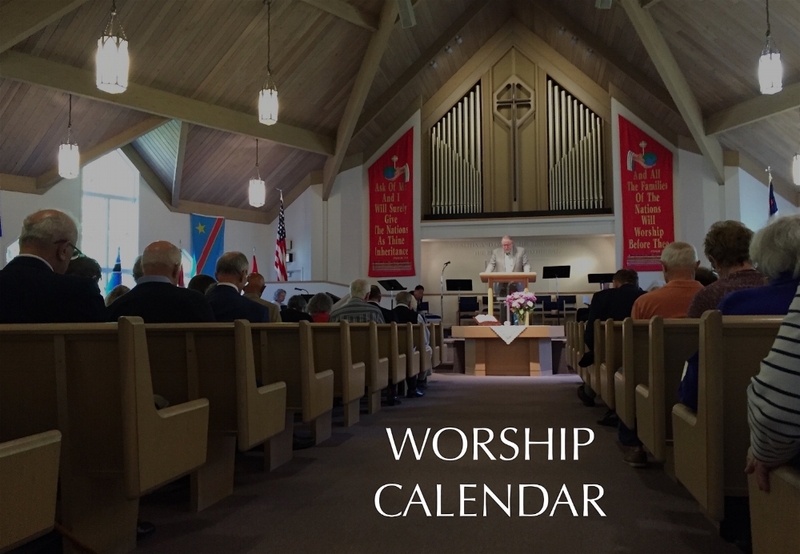 This year our worship services will begin at 10:30 a.m.
Sunday School will begin at 9 a.m. The Christian Church Calendar helps us to remember and celebrate the saving acts of God accomplished in Jesus Christ: from the incarnation to the cross, the resurrection, the ascension, and finally to the gift of the Holy Spirit and the establishment of the Church at Pentecost. Year after year we are invited to order our lives around these mighty acts of God found in Christ, and all the while we await the return of Christ when the creation will be perfectly restored in the reign of Christ. Dec. 24 – Christmas Eve Service at 5 p.m.
Our Easter observance includes 40 days of preparation through Lent followed by a 50 day celebration of Easter concluding on Pentecost. We will have Wednesday evening services at 7 p.m. during Lent. March 6 – Ash Wednesday Service at 6 p.m.
April 18 – Maundy Thursday Service at 7 p.m.
April 19 – Good Friday Service at 7 p.m.
April 20 – Holy Saturday Morning Reflection at 10:30 a.m.